Splash screen for news coverage of the Adams County Correctional Facility uprising from an NBC affiliate. Last week, prisoners in two different facilities in the United States resisted inhumane conditions — one through an uprising that the mainstream media dubbed a “riot,” and the other through a hunger strike. The tactics employed by the two groups differ, but the messages are clearly linked: Prisoners are protesting their conditions and are willing to put their lives on the line to fight for better treatment. On May 20, inmates took control of the Adams County Correctional Facility in Mississippi for over eight hours. One inmate managed to access a cell phone during the uprising and called WLBT TV in Jackson, proving his presence in the prison by sending pictures. He gave the station the following statement: “They beat us; we’re just [paying] them back. We just need better treatment and services. We need medical attention. We just want some respect. They call us wetbacks” — referring to a racist slur used against undocumented immigrants. The prison is privately owned by Corrections Corporation of America (CCA), which manages over 60 facilities and touts a capacity of 90,000 beds. The prison in Adams County is populated by immigrants from over 70 countries awaiting deportation and is part of a larger war on undocumented immigrants in the United States. 2011 was a record year for deportations: 396,000 people were removed from the country, and more than half of those people were convicted of crimes and held at private immigration detention facilities like the one in Adams County. During the uprising, one guard was killed, and several guards and inmates were injured. Over two dozen guards were reportedly held hostage. 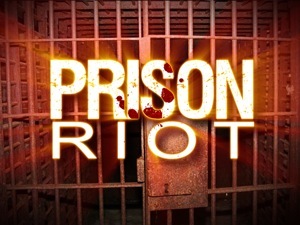 The prisoners were subdued by SWAT teams, which dropped pepper spray grenades and tear gas bombs into the facility. Before it was quashed, more than 600 of about 2,500 total inmates were reportedly involved in the takeover. The mainstream media, much like the prison officials themselves, have sought to silence the grievances that motivated the uprising. Nearly every headline has emphasized images of violence, tumult, disorder. Many news outlets claimed that a gang fight started the revolt, yet they fail to explain how a clash between rival gangs could result in an apparently unified uprising with clear demands. The nature of the uprising and the death of a prison guard in the midst of it have given the media a pretext to ignore the massive violence and brutality that prisoners suffer across the country every single day. The incident is also symptomatic of the fact that the privatization of prisons like the one in Adams County means a lack of oversight and responsibility, which results in inhumane conditions for inmates. The Mississippi Immigrants Rights Alliance has received numerous complaints about the conditions of this CCA facilitity and many others, with reports of beatings, overcrowding, substandard food and lack of proper medical care, among other grievances. These are precisely the kinds of problems that were cited by those who took matters into their own hands in Mississippi by mounting an occupation. Meanwhile, 45 prisoners at Red Onion State Prison in Wise County, Virginia were plotting another kind of resistance: a hunger strike, which they launched on May 22. With the help of a network of prisoner-support activists in the area, the hunger strikers released 10 demands and a press advisory. Among these demands were such basics as fully-cooked food and access to fresh fruit and vegetables, access to complaint and grievance forms, an end to torture in the form of indefinite segregation, and adequate medical care. Five hundred of the 1,700 inmates at Red Onion — Virginia’s only “supermax” prison — spend 23 hours a day in isolation. Inmates at Red Onion have also reported being beaten by guards and bitten by dogs. Prisoner hunger strikes like this have been growing in frequency. Just in the past year, hunger strikes have happened at the Ohio State Penitentiary, the Corcoran State Prison, Pelican Bay State Prison, Ironwood State Prison, Kern Valley State Prison and more. Prisoners around the world are also choosing to resist by hunger striking, most notably the 2,500-strong Palestinian prisoner hunger strike that went on for weeks and was ultimately hailed as a victory. As we write, there are prisoners fasting in resistance in Dubai, Morocco, Egypt and, earlier this week, a 110-day hunger strike ended in Bahrain. There has been a history of organizing at this prison to protest the inhumane conditions since the opening of the prison. Because it was the prisoners themselves who put their bodies on the line to call attention to injustices at Red Onion, it should be the prisoners to whom we listen over the press releases of the Virginia Department of Correction. Given that the VA DOC both failed to acknowledge the hunger strike at the onset and engaged in sending out misinformation, their version of events is suspect. We’re tired of being treated like animals. There are only two classes at this prison: the oppressor and the oppressed. We, the oppressed, despite divisions of sexual preference, gang affiliation, race and religion, are coming together. We are rival gang members but now are united as revolutionaries. As the speaker from Attica and the representative at Red Onion State Prison both allude to, it is when divides of race, identity, and affiliation start to break down that prisoners are empowered to seek better conditions and more rights. These struggles also depend on those on the outside who show solidarity and help to spread awareness of the prisoners’ grievances. Supporters of the Red Onion hunger strike are organizing through their website and an online petition. The San Francisco Bay View has posted a further list of ways people can support the Red Onion revolutionaries. Inmates are putting their lives in danger to fight for meaningful change in a brutal system, but without people outside the prisons echoing them, their cries can continue being silenced and ignored. Jen Waller is an activist and radical legal worker. She has been organizing with Occupy Wall Street and helping with legal support since last October. A founding member of the OWS Anti-Repression Committee, Jen does trainings for activists and helps to educate about histories of activism and political repression in the United States. She has also been involved with local organizing in New York City against racist policing and struggles against government repression, entrapment, and preemptive prosecution. Tom Hintze is an activist, writer and photographer from New York. He started working in the Occupy Wall Street Kitchen in Liberty Square in October, organizing horizontally with a small group of people to coordinate meals for between one and five thousand people daily. He has also been a part of the Direct Action Working Group at OWS, and has helped plan dozens of actions. 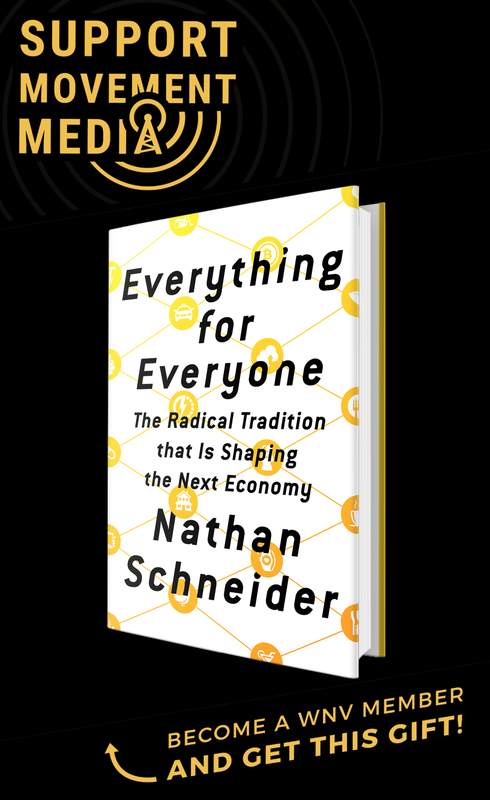 He has written and edited for Tidal and Occupy Theory.